I've been hoping to get some one more Chinese New Year bento done and start on Valentine's Day creations soon, but I've not had time to do so. Crossing my fingers I'll get some done before I take a break for Chinese New Year. Meanwhile, you might want to check out my previous years' Valentine's Day bentos over here. I've also have a tutorial on how to make piggy, panda and rabbit pineapple tarts here. Just updating a fast post for today. 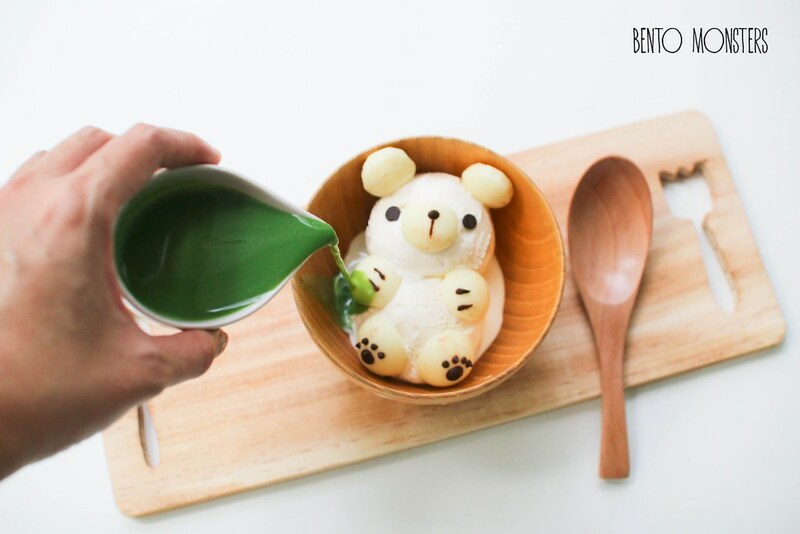 Teddy bear matcha affogato I made last week. Affogato is vanilla ice-cream topped with a shot of hot espresso. I don't drink coffee, so I substitute the espresso with hot matcha instead. I'm out of matcha powder though, so this was matcha latte instead, using instant pre-mix packets in my pantry. 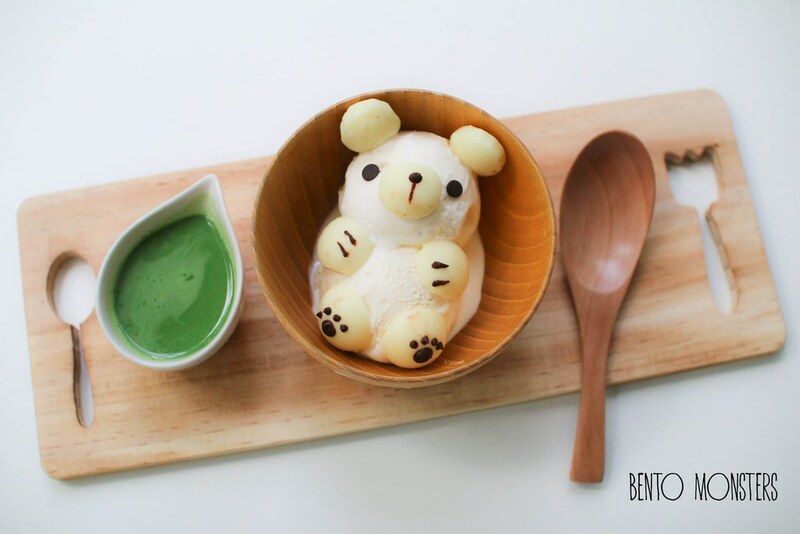 I have to make this again using matcha powder, I've another character idea for ice-cream I want to try. 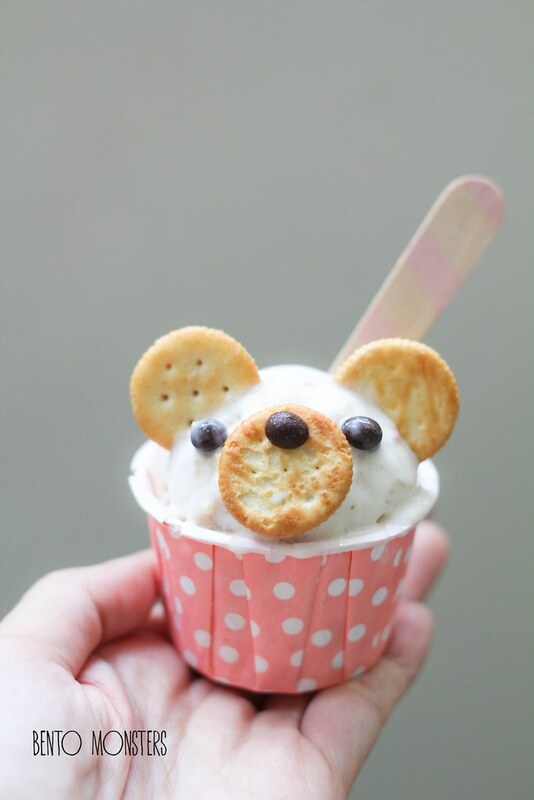 The teddy bear was made using vanilla ice-cream, white and dark chocolate. I felt like I was racing against time when I made this, because the ice-cream melts very fast and I had to work at super speed, lol. I should turn on the air-con the next time I attempt anything with ice-cream. I also found this old creation in my archive, I think I shared it on Instagram before, but not on my blog. 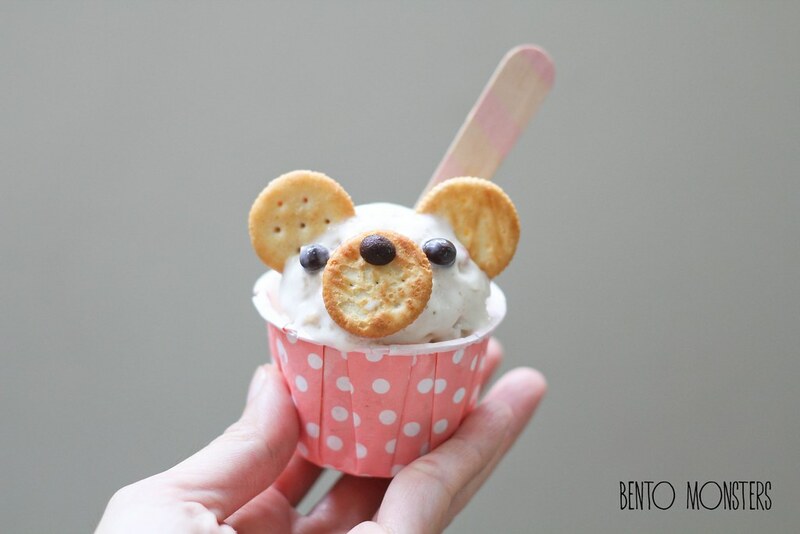 This ice-cream bear is quite easy to assemble, you just need cookies and chocolate chips. 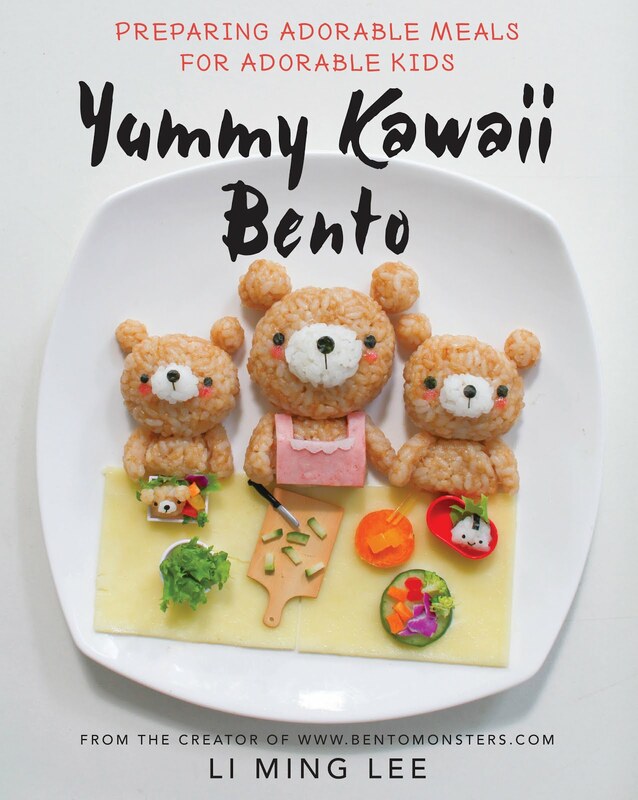 Hello, oishi this ice cream bear your blog is very nice :)I'm also make bento and I love so much this artfood like you. Have a nice afternoon ! 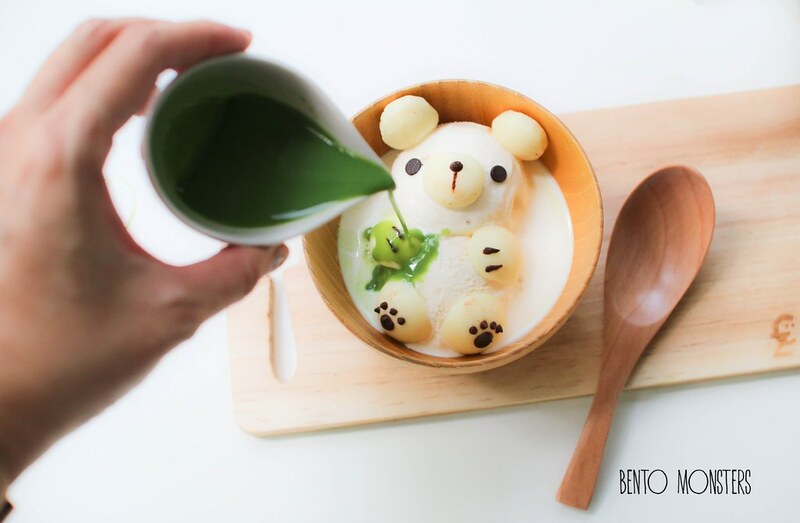 Love your teddy bear affogato! I always freeze the ice cream for a while after I scoop it,so it will melt slower while I photograph it. Thank you, Jean. I did that too, lol, but I think my room is still too warm, because it's melting when I'm assembling.